Today’s article will kick off a series exploring undervalued Tiny Leaders cards. However as I have threw my hat into the proverbial ring in my pre-Pro Tour article last week and backed a number of cards as potential financial winners, I feel I ought to do a post-mortem on their results. We have a new Modern Pro Tour champion (congrats to Antonio Del Moral León, the first Spanish Pro Tour champion) and a new Modern metagame. Travis Allen has an awesome Pro Tour analysis coming up tomorrow; I would just briefly go through the calls I’ve made in my article last week and discuss their performance. Their results were grisly, but they were calls I’ve chose to make as a finance author and I think it is imperative for me to do a post-mortem on them, regardless of whether they soared or bored. I am glad I decided to feature Amulet of Vigor as my first call based on Amulet Bloom’s performance in the young post-ban Modern metagame. It turned out to be my only call that spiked over the Pro Tour weekend as Amulet Bloom’s performance successfully ported over to the Pro Tour. Unfortunately, the rest of my calls barely saw play among the Pro Tour decks that finished with 18 points or more. However, that does not mean they were all failed specs or sunken ships. I made those picks based on the fact that those were cards that were or still are Modern staples, or cards with power level ripe for Modern but has yet to find a home. More importantly, the underlying thread of each call were the fact that they were all vastly undervalued at the time of writing. None had a price tag more than $10 and half of them were under $5, which made investing in them relatively low risk. Moving forward, I would still consider them good pick-ups, as the Modern metagame is constantly evolving, and those cards are at a bottom right now. Once upon a time when Lingering Souls was a pervasive threat, Thundermaw Hellkite was the apex predator in the metagame. As I mentioned in my article last week, the single driver that could make Thundermaw a format staple again is the prevalence of Lingering Souls. There were 144 copies of Lingering Souls spread across 32% of decks at #PTFRF. Thundermaw Hellkite be like “Put me in, Coach!”. Thundermaw Hellkite would have been good against a whooping 32% of the decks at the Pro Tour. I’ll let that thought linger here. It’s going to be an unpopular opinion, but I think the Modern metagame took a step backward with the recent slate of bannings. 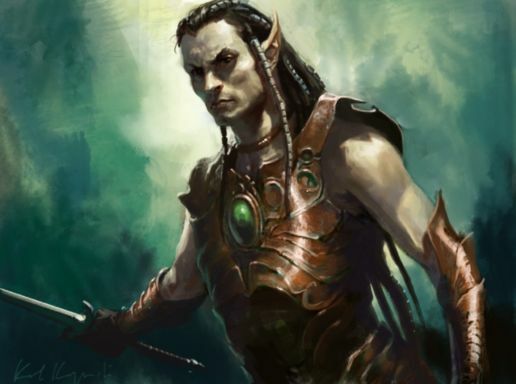 28% of the day two metagame comprising of Abzan reminded me of Jund’s level of dominance before Bloodbraid Elf was sent to the Undying Lands. The second most successful deck, Burn occupied 12% of the day two metagame, nearly twice the number of the third most successful archetype, Infect. The top 8 metagame consisted of just four archetypes, which would have been acceptable for a Standard Pro Tour, but is not exactly the epitome of diversity in a non-rotating format with neartly 9000 cards. Perhaps the metagame still has space to evolve and we have yet to reach the peak diversity in the post-Birthing Pod ecosystem. Enough about Modern, as I’ve mentioned, Travis has an awesome article lined up tomorrow on Modern finance, be sure to check it out. I’ve written a primer on Tiny Leaders a few weeks back. Since then there has been some movements in the finances of a few cards which could have been driven by Tiny Leaders demand. When I wrote about them two weeks ago, foil copies Varolz, the Scar-Striped were just going for $3.50 and foil Ezuri, Renegade Leader were $5. 78. Today foil Varolzs are going for $9 and Ezuri foils skyrocketed to nearly $20. I hesitate to call Tiny Leaders demand a market force to be reckoned yet, based on just two popular Tiny Leaders commander who saw their foil prices shoot up. Market correction could be a factor here: Ezuri foils were from a set released nearly five years ago and Varolz, while cheap, is one of best Golgari leader and he also fits into Abzan builds, one of the most powerful color combination in the format. A good way to buy into a format on the cheap is to predict which cards are likely to become staples and buy into them when they are still cheap. I am going to embark on a Tiny Leaders series exploring undervalued cards, and today we shall begin with with undervalued white Tiny Leaders cards. The inspiration behind the band Enter Shikari. Just kidding. 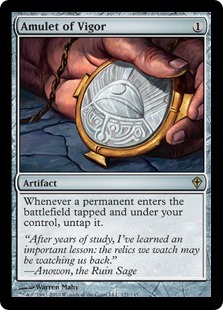 The boat has sailed for this one but it might be relevant for the first undervalued card I would be discussing. Foil copies of Leonin Shikari were going for $10 last month but doubled up early this month, while non-foil copies only moved from $5 to $7. 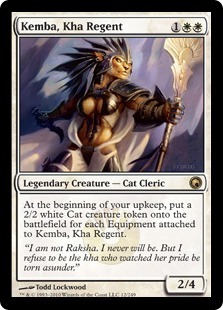 Kemba, Kha Regent may not be a tier one deck (yet), but she is a popular leader, as far as the Tiny Leaders subreddit and Facebook group goes. I am not bullish on her normal copies as she was reprinted in Commander 2014, but Kemba’s single foil printing looks sweet at $4.61. 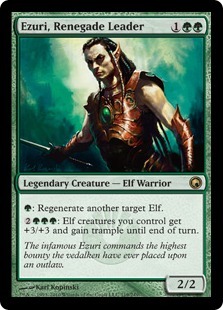 While foil Kemba would struggle to hit the heights Ezuri hit (Ezuri at $20 also seems like a bubble), she has a lot of room to grow at sub-$5. I would not be surprised to see her foils hit $10. 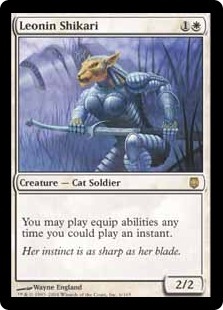 As with all Scars of Mirrodin cards, Kemba is at risk of being reprinted in Modern Masters 2015. However, Modern Masters 2015 would have to feature an equipment theme for her to be included, something which I think is unlikely. 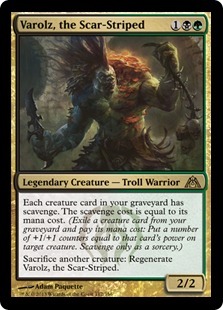 As mentioned, Kemba was just reprinted in Commander 2014. Unless Wizards thinks she is destined to be the next big thing in Modern, I would imagine the chances of her seeing reprint is relatively thin in the short-term. That is all for today. Please accept my apologies for the shorter than usual article; things have been a little hectic over the past week. I have something nice in the pipeline for next Tuesday to make up to you readers.